Now that I’ve got most of the current large airliners from Boeing and Airbus illustrated, it’s time to turn my attention toward some of the prop aircraft that I’ve been neglecting so badly over the last few years. I’ve received countless requests for both the ATR 42 and 72, and my apologies for not getting to them until now. I’ll get to everything, I promise! I may be old and gray by the time I finish, but as I said before, this airliner template thing is a lifelong project of mine that I’m never going to abandon completely. So here we go. 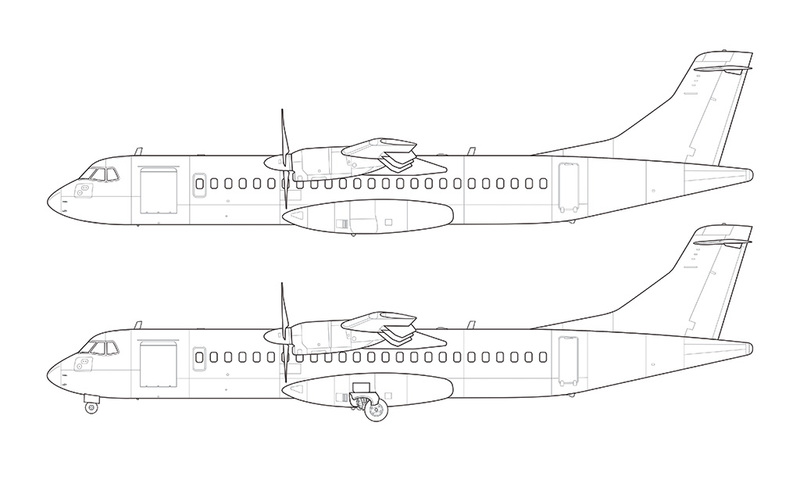 These are the side view templates for the ATR 72! It’s a neat little aircraft, and I’m fully willing to admit that I wasn’t all that familiar with it before I created these illustrations. They just aren’t that popular here in the US, and as a matter of fact, I travel quite a bit domestically and I’ve only been on two ATR 72’s in my entire life. That was with American Eagle between STL (St Louis, MO) and SBN (South Bend, IN) way back in 2001 and I’ve never run across another one since. However, there is a chance that I’ll get to fly on one between KOA (Kona, HI) and HNL (Honolulu, HI) on my Hawaiian vacation later this month. 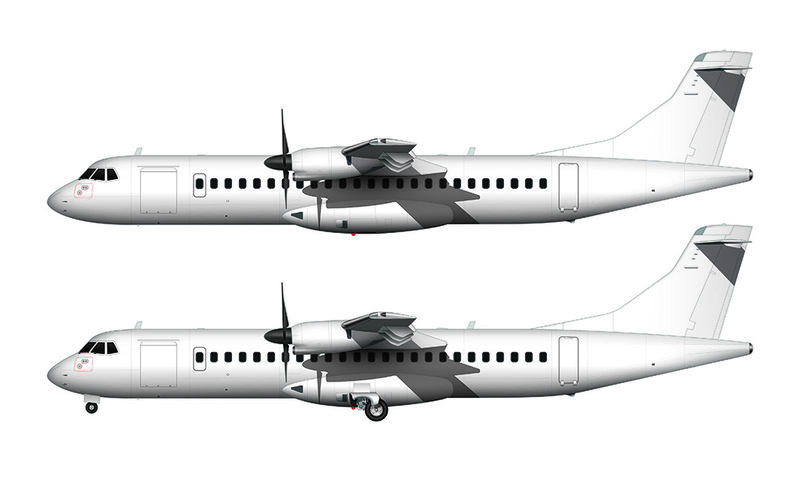 The website for Island Air says it’ll be either a ATR 72 or Q400, so I’m not really going to know for sure until the day of the flight. By the way, those of you who might be interested in reading about my travels can check out my travel blog – there’s lots of good airliner geek stuff over there too! The ATR 72 ended up being a relatively easy aircraft to illustrate. There’s nothing cutting edge about the design at all, and the thing that made it especially easy was the fact that the majority of the landing gear is hidden behind the wheels and door flaps. 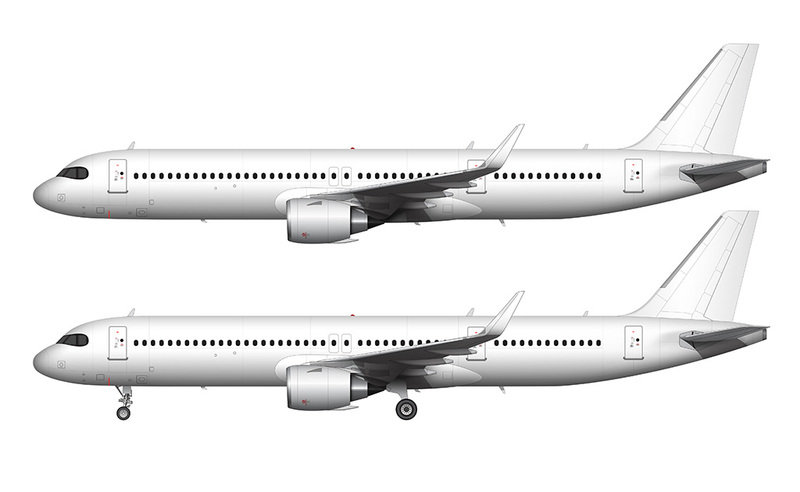 Illustrating the landing gear mechanisms is by far the most time consuming part of every airliner template that I create, so not having to do it (or much of it) saves a ton of time. The main (rear) landing gear mechanism is exposed a bit, but it wasn’t too difficult to recreate the portions that are visible. I don’t recommend creating detailed engineering drawings from any of my templates though – there are a lot of details that I don’t draw in order to keep the drawings clean and nice. 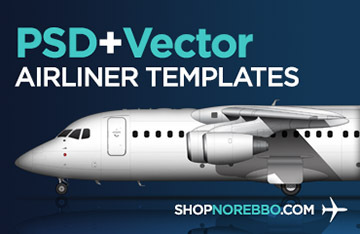 I still need to tackle a couple other higher-priority aircraft first (Cessna Grand Caravan and the Boeing 717), but after those are complete I’ll circle back around and create the ATR 42 templates. 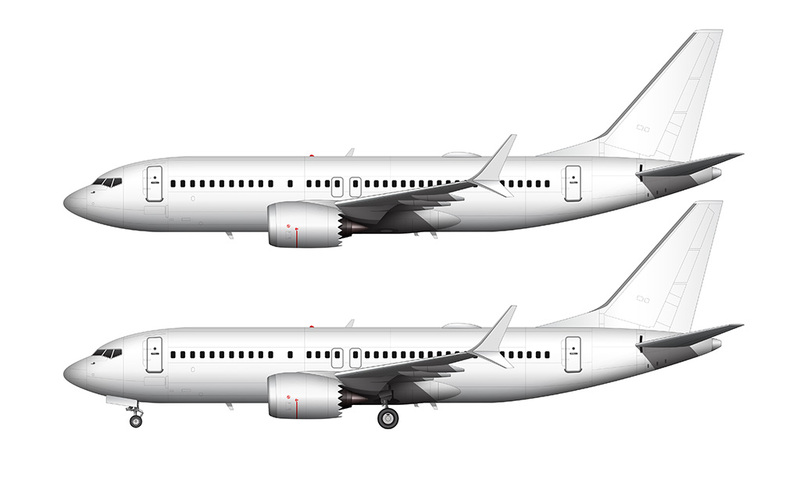 It usually doesn’t take me long to create a derivative of an aircraft that I’ve already illustrated, so hopefully that remains true when I start taking sections out of this 72 to create the smaller version. More stuff coming soon!